Don’t you love the different seasons… and all the good food that accompanies them? My grandson, Adam, was over the other day and he wanted to bake something. He flipped through my recipe book, Homemade with Love, and this Pumpkin Bread is what he decided on making. He got out all the ingredients, followed the recipe to the tee and made us all a delicious fall treat. Grandad really loved it! 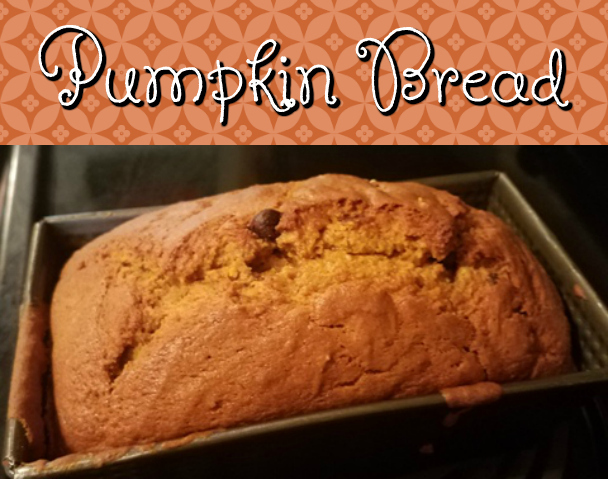 This pumpkin bread is wonderful for autumn breakfasts and can be made into muffins, too!